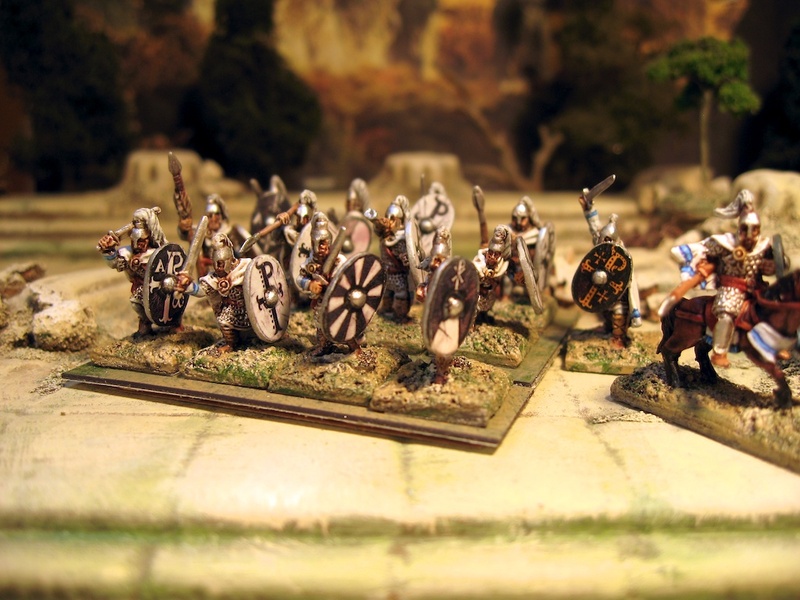 A modest warband of Arthurian inspired Romano-British Dark Age warriors. 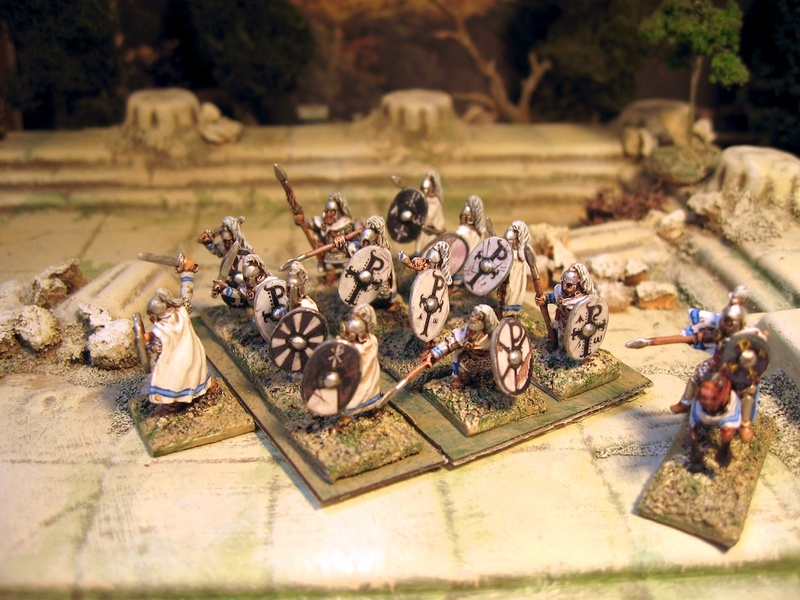 These are from the excellent Splintered Light Miniatures range of Dark Age miniatures. Lots of variety to be had and these photos do not do justice to the sculpts or the poses. My first effort with Little Big Men shield transfers did not go so well with my Greeks (partly because of the contour on the shields, partly because I couldn’t cut out a perfect circle!). These ones were more successful and I’m pretty please that I didn’t spend hours hand painting them. 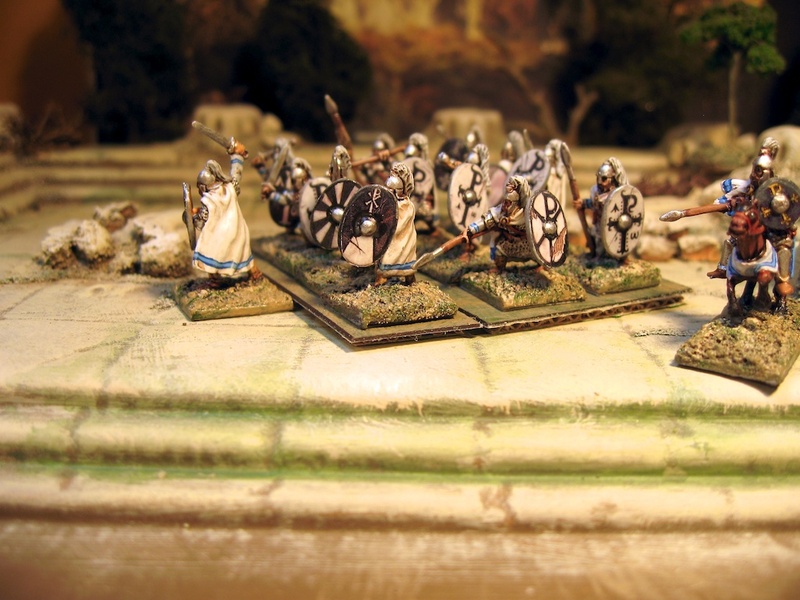 I was also messing around with magnetic bases hence the uniformity of the warriors – posing them individually would make for a better pic and I may come back and do that so they are seen without that disadvantage.